Disconnect the brake pedal pushrod (2) from the brake pedal. Reposition the pedal pushrod boot (1) toward the front of the vehicle to expose as much of the pedal pushrod (2) as possible. Inspect the brake pedal pushrod (2) for straightness. If the brake pedal pushrod (2) is not straight, then the pushrod requires replacement. 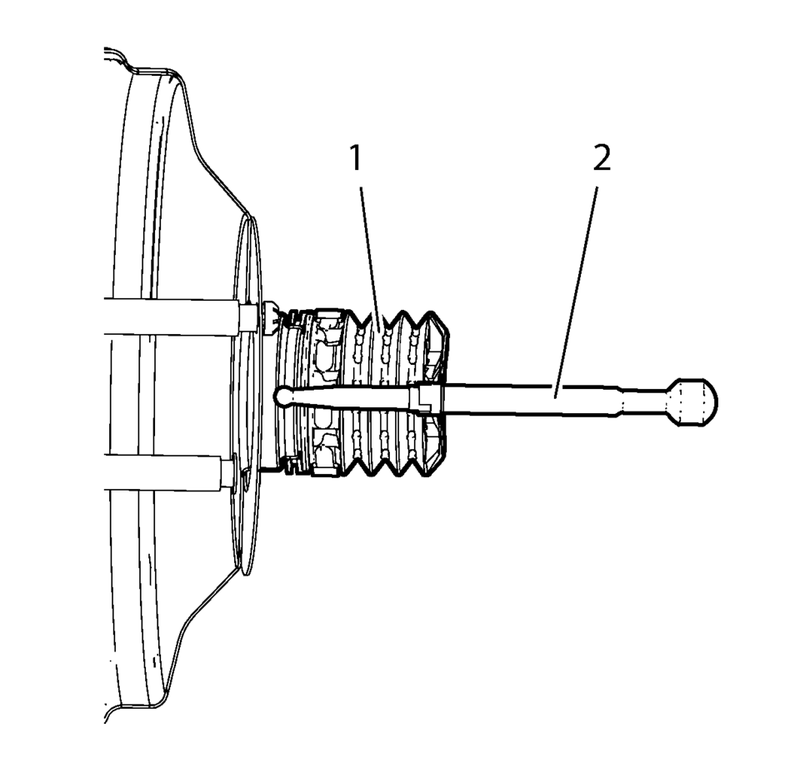 Return the pedal pushrod boot (1) to its original position on the pedal pushrod (2). Connect the brake pedal pushrod (2) to the brake pedal.